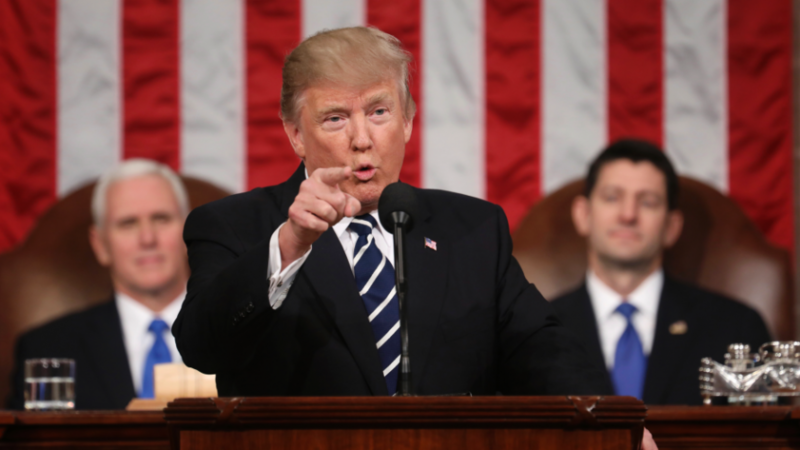 While the State of the Union address is rarely if ever an FX market-moving event, in light of recent comments by both President Trump and Treasury Secretary Mnuchin and with global trade suddenly on everyone's radar, if there is one market-sensitive topic that may get a kick start on January 31, it is US trade relations with China. For readers who want to get a head start on the topic, Deutsche Bank's Alan Ruskin suggests reading the United States Trade Representative 161 page primer on the "Report to Congress on China's WTO compliance", (it can be found here). According to the DB FX strategist, "the report is extraordinary, and at a minimum page 2 to 25 of the report deserve a read to understand the extent to which the US believes they have valid grievances on an array of perceived China WTO transgressions." What does this mean for traders? Well, those who have been begging for FX vol (a precursor to all other volatility) will soon get their wish, because according to Ruskin, the likely upcoming US attack on China trade policies is apt to have broader bipartsian support than many other US trade measures. iii) influencing China's global asset allocation, that could impact all of US bonds, equities and the USD negatively. Of course, China knows all of this and explains the recent trial balloons by China and Bloomberg that Beijing may slow down, or even reverse, its purchases of US Treasurys. What could stop a collapse in trade relations? Why, a market crash of course: as Deutsche predicts, a sharp uptick in US equity volatility is one of the few factors that could put a brake on this US push forward to change trade relations with China, and the above fits with a world of greater equity vol. Focusing only on the currency side, the USTR report's recommendations have the capacity to go way beyond calling China a currency manipulator. While in the initial instance, US attacking China's WTO transgressions could be seen as encouraging of more CNY appreciation, in the longer-term this could prove both CNY negative and negative for most Asia EM FX. Short CNY/JPY would work under a risk-off environment, and has the added bonus that it offers some protection against a China official exodus from US bonds (if the politics turns unexpectedly ugly), with the yen one alternative reserve asset destination.